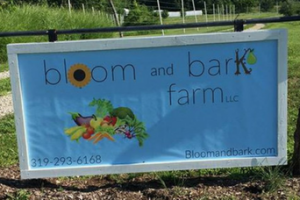 Pathfinders’ board member Kim Steele-Blair and her husband, Tim, operate Bloom and Bark Farm, off of J40 on the Historic Hills Scenic Byway. They are opening a Local Artisan Market and looking for local artists! We are opening a Local Artisan Market here on Bloom and Bark Farm, to work in conjunction with our glass blowing studio. The building is constructed and we are working on finishing the interior with the plan to have a “soft opening” on 12/08/2018. 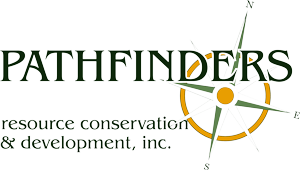 A grand opening will be planned for later in the spring. We are looking for artists who would be interested in displaying their art in our market. We are still working out all the details, but here are some of our thoughts. The Artisan Market will display a wide range of mediums. Art will be local, staying within a 100 mile radius. All Artists will be juried. We have created a board consisting of 7 people that includes artists and art connoisseurs. Something for all pocketbooks – we don’t want to be known for just the high priced pieces – we want to introduce art and fine crafts to everyone. We would like to exhibit very affordable as well as higher priced pieces. Memberships, commission and/or work requirements – There will be no membership fees. We are considering a graduated commission based on days worked in a month by artists. Open hours – we have not yet set hours, with the exception of the month of December. Those hours will be 12/08 10am-4pm, 12/9 1pm-4pm, 12/15 10am-4pm, 12/16 1pm-4pm and 12/22 10am-4pm. In addition we will also have an open flag and signs that we place out by the highway whenever we are here on the farm. Allowing folks to drop in anytime. Eventually we will most likely set weekend hours with week days by chance or appointment. We plan to change out art within the Gallery every 30-60 days. Our thoughts being, keeping the inventory fresh keeps the public wanting to come back to see what is new. Also thinking we will feature different Artist(s) every 60 days with some kind of event. We have spoken to a few other local artisan markets and they all feel very strongly about a continual change in inventory keeps interest alive. Our goal for Bloom and Bark Local Artisan Market is to be an incubator for local artists and art events. Please share your thoughts with us as we begin this new journey. If you are interested in being a part of our market, or if you know of an artist, please let us know and share this letter with them. …….a great way of life!